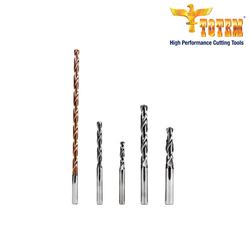 We are a leading Manufacturer of forbes solid carbide drills from Mumbai, India. Forbes has been manufacturing a full range of high performance drills to machine steel, stainless steel, non-ferrous, cast iron and super alloys.These drills are available in L/D ratios 3, 5 and 7 as a standard offering with both solid and through coolant variants. An in-house design workbench is capable of delivering custom solution drills.